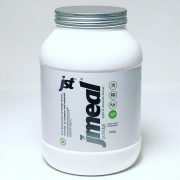 JMeal Porridge is our latest product which is a designed for weight control. Substituting two daily meals of an energy restricted diet with meal replacements contributes to weight loss. One meal should be substituted with a meal replacement. 1 x 60g (2 scoops) daily in place of your chosen meal. Meal Replacement products are useful for weight control if used as part of an energy restricted diet. Your other meals should consist of normal balanced meals. Mix 2 scoops (1 serving) thoroughly with 200-300ml warm/boiling water and drink. WARNING contents maybe hot! It is important to maintain adequate fluid intake. Do not exceed recommended amount unless directed by a physician. **Nutritional Information based on Apple & Cinnamon flavour. For best before end date, please see base of product. 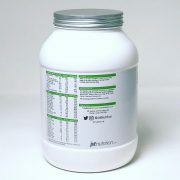 This product is a food supplement and contains natural ingredients. We recommend once opened to consume within 3 months. All products are free from gluten/wheat as neither are included in the ingredients. Contains Cow’s Milk and Soya Protein from multiple sources. Manufactured in a plant that handles ingredients derived from; Wheat, Oats, Corn, Egg, Nuts, Garlic, Celery, Yeast and Crustaceans. We cannot guarantee this product is nut free. Side-effects are rare but please discontinue use and contact your GP immediately in the event of an adverse reaction. Always consult your GP before taking Meal Replacement Products, especially if you are taking medication, have an existing medical condition or are due to undergo surgery. Not suitable for pregnant or lactating mothers. This product is not intended to diagnose, treat, cure or prevent any disease. The statement contained on this label does not imply that this product has any medicinal properties or use. *Disclaimer: each individual is unique so results will vary from person to person. Image for illustration purposes only. Product may vary in appearance. Strawberry & cream is lovely. I have just ordered 2 more, as I have lost a STONE with no effort at all. Used other peoples shakes but the flavours were boring. The blueberry muffin is great. I actually really enjoy it day after day when previous ones became boring with just vanilla or chocolate. I've now ordered another and the strawberry /cream one. The blueberry muffin flavour is absolutely delicious - thick, creamy and filling. I have both the Chocolate Mint & the Belgian Chocolate JMeal Replacement Shakes, and both are absolutely gorgeous - they are so thick, like a real milkshake, very filling and satisfying! Would Definately recommend, the best of all the meal replacement shakes ive had over the years, and so many fab flavours to help you stick with it! Received my first order of JMEAL Replacement today, also with a complimentary free gift of JGold, which I'm over the moon about considering I lack vitamins and minerals due to my diet. Tried my first shake and I cannot believe how delicious the Belgian Chocolate flavour. I'm looking forward to a happier, healthier life, but also a figure I can be proud of. Just tried blueberry muffin flavour and its amazing! feels naughty when drinking it without the unwanted calories and fat! i know this will kill all sweet cravings. This product is amazing. Ive tried Strawberry, Cookie dough, Chocolate and Blueberry muffin. All tasted great but the strawberry was my fave. Lovely thick shake that keeps you full. So Far I've Tasted 5 Flavours And Not Been Disappointed By Any! All Tasted Great! Also Leave Me Feeling Full & Not Going For The Cupboards An Hour Later! I Have Seen Amazing Results In Just Over A Month I've Lost 1Stone 5LBS! Such A Great Product. You Get What You Pay For And It Is Worth Every Penny! I have just started back on JMEAL after a few months off. I lost over a stone when I first started using this product last year by having it for breakfast and lunch. I then moved to another quite well known brand as it was slightly cheaper. I was constantly hungry, I didn't stick to it and the flavours we're terrible! I have now gone back to JstJodie and I love it! The Belgium Choc JMEAL is filling, tastes nice an gives me my chocolate fix! I couldn't recommend this product more! Don't go for cheaper brands, stick with the quality! Keep ordering strawberries and cream because it tastes so good! Excellent product to help with weight loss, not the cheapest but better ingredients and consistency make it worth it. Can't believe how great this tastes. I am currently using the Belgium Chocolate one but have stocked up on Blueberry muffin and Cookies and Cream. I am confident that I won't be disappointed with the taste of them either. The powder is fluffy and mixes well. I usually have the thicker shake. In the past I have loyally used another known 'Female brand' on the market which tasted so bad I had to hold my nose to drink and try to keep down and never saw any results from taking. Glad to say I have thrown it anyway and stocked up on JST Jodie diet protein and meal replacement. I am just praying for a JST Jodie meal replacement bar to come out now! Received my mint chocolate jmeal yesterday, first off the delivery was really quick ordered on the Tuesday evening and received it Thursday. I brought the shake as I am trying to lose weight and have decided to use shakes as a meal replacement,I'v-e tried 4 of the major brands and have hated the taste or lumpy texture so go off them very quickly.today I tried jmeal and it was amazing, mixed really well was gorgeously thick and tasted fantastic..no chemical taste at all,filled me up nicely and the green coffee has given me ridiculous amounts of energy!!! Happy camper!! Just bought the Belgian Chocolate....fi-rstly, the taste is soooo good. Add the powder to your (cold) water then shake (in the Storm Shaker) and there are no bits or lumps. Secondly, have taken it once a day with healthy eating thereafter and have lost 6lbs in 5 days (delighted with the result) with no exercise. I have been taking the Tonex too so that could be helping! Am about to buy the Strawberries & Cream as this seems to have been given great reviews too.....if you are dubious, go for it...what have you got to lose (outside of the weight you want to lose!). It works and is with the fab taste, makes it so much more palatable! Definitely worth the money! I was sceptical to try this, as the last lean protein powder (different brand) was awful, left me bloated and feeling so sick and to be honest didn't workand cost me nearly £55! But I have read all the reviews for this so thought I'd try it. I bought the cookie dough flavour, and it is amazing! I'm not a huge fan of flavoured proteins, I usually go for vanilla. But this is gorgeous, not too sweet and extremely thick! Very filling. It's nice to finally see a meal replacement that isn't packed full of useless ingredients and sugars! Can't wait to see the results but I'm feeling good already. Oh and the delivery was within 2 days, very impressed that I didn't have to wait a week! I ordered this after reading the reviews on how amazing this is, and it has not failed in results, taste and value. I have reordered strawberries and cream 3 times and now trying the Cookie Dough flavour as i KNOW it will be fab! have also used semtex and tonex. well recommended. Fast delivery and AMAZING flavour. Got the Mint Chocolate flavour and its like drinking a milkshake. mixed with water as instructed and wouldn't have it any other way. Have been using it for a week and have lost 6lbs, substituting 2 meals a day and doing light exercise at the gym. Ordering some more asap!!! brilliant product, thanks Jodie!!! I was worried at first thinking this would be horrible but its actually really nice!! the strawberries & cream tastes like strawberry angel delight. I love this product. I've never been a fan of shakes because I get put off the texture and taste mainly. I order Cookie Dough and it tastes AMAZING! It's like drinking a smoothie with the texture and fills me right up! This product is amazing. I bought the Strawberries and Cream one and it tastes like a thick angel delight. It's amazing. In the first week of drinking these (one for breakfast and one for lunch) I've already lost 6lbs. And I've not even been to the gym due to working hours! It's genuinely filling and tastes fab. Would definitely recommend! If I could give this more stars I honestly would, it's incredible! I ordered cookie dough flavour and after a few days I already started noticing a smaller waist! I will definitely be buying this again, you won't find anything else like it on the market! My jmeal arrived yesterday and I love it! I ordered cookie dough and finally ive found a shake that actually tastes nice. It kind of reminds me of kinder bueno's. Cant wait to see what results it gives me! I have tried both Strawberry and Cream and Belguim Choc flavors. I have been having a shake with water for breakfast and lunch 3-4 times a week and have lost 19 pounds since Christmas. The shakes keep you feeling full and taste great. I would definitely recommend these shakes compared to others on the market which in my experience don't taste as nice and don't have the desired effects. 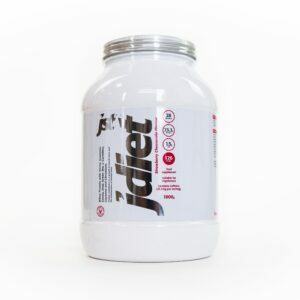 JMeal is a meal replacement shake for weight control. How & when do I take JMeal? Two meals should be substituted with a meal replacement. How many JMeal shakes do I take daily? 1 x 60g (2 scoops) to replace each of the two meals, totalling 2 x 60g daily. How long can I take JMeal for? You can take JMeal daily. Not intended for persons under the age of 18 years. Always consult your Doctor / GP before taking Nutritional Supplements, especially if you are taking medication, have an existing medical condition or are due to undergo surgery. Contains Cow's Milk and Soya Protein from multiple sources. This product is manufactured in a plant that handles: soya, wheat, egg, pea and nut products. 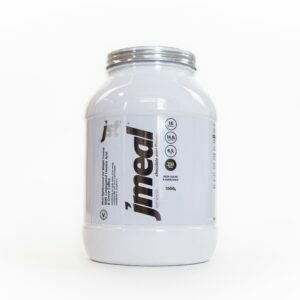 Does JMeal have any side-effects? Yes. JMeal is suitable for vegetarians but not for vegans (dairy). Can I drink alcohol whilst taking JMeal? Can I take JMeal with the contraceptive pill? 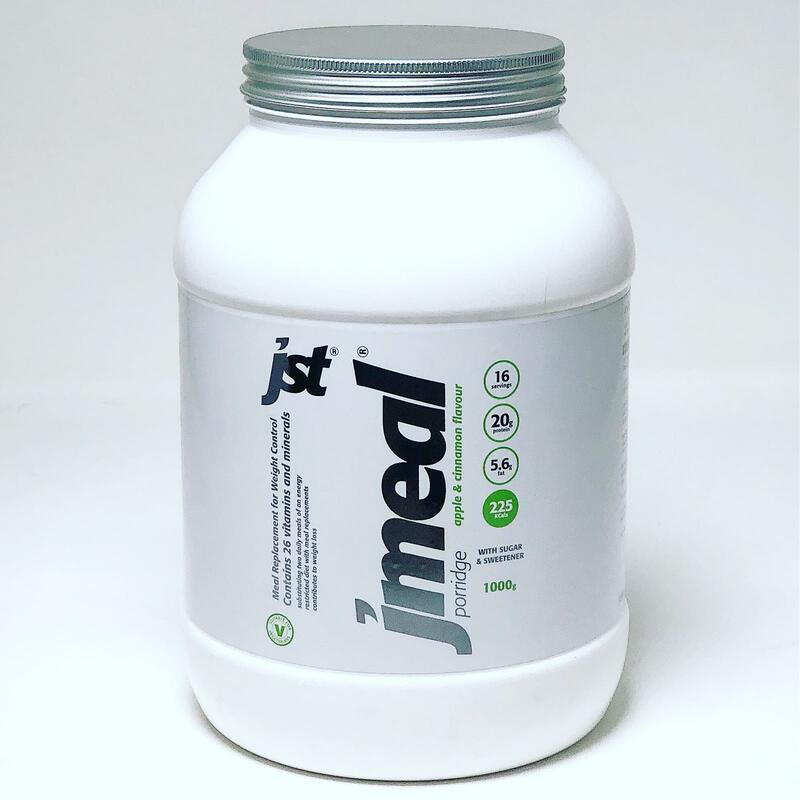 Can I use JMeal without exercise? What is an energy restricted diet? An energy restricted diet refers to a low calorie diet. How long before I see results from taking JMeal? All our bodies are different so this can depend on your body. Usually you should see results within 2-3 weeks.